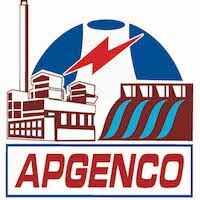 Online Application Details for Andhra Pradesh Power Generation Corporation Limited APGENCO Recruitment of 3 Director is given below. Application form and duly attested documents are to be sent to Managing Director, ‘A’ Block, 2nd Floor, R.No.227, APGENCO, Vidyuth Soudha, Khairathabad, Hyderabad – 500 082. In envelope super scribed with 'Application for the Post of Post Name'.